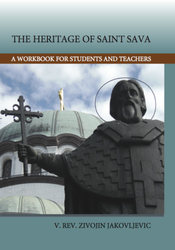 The Heritage of Saint Sava is a workbook created as a resource on the life of Saint Sava and the spiritual fruits of his labor. The book contains exercises for students, lessons and objectives for teachers, and well-written information for families and educators. Овај уџбеник је настао из потребе да се попуни празнина у програму за веронауку у нашим црквеним школама. Високо квалитетне техничке обраде, уџбеник садржи деци прилагођен приказ живота светог Саве и његових духовних чеда. 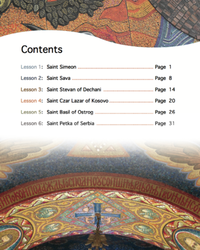 The book is available in Serbian and English, click here for ordering information.